The first step in the process of answering how to write a research paper? is to figure out what your genre and topic will be. You may need to do your own learning about a field, or your instructor may have already narrowed down this part of the research paper assignment. In any case, you must do background paper research to write a better quality paper. Learn some general information about a subject first, and then figure out what topic you will write about specifically. If your instructor gave you a particular topic to write about you will only need to clarify the topic, but you may need to narrow the topic yourself as you learn more about the subject. After you write your thesis statement, you must conduct additional research to learn more about the exact topic you are writing about. While you conduct this research, you should consider how to write note cards for the research paper as an initial way of organizing the information you collect. With the research in hand now, you must organize your information. Most people find the outline format a convenient and practical way to make sense of the information. The outline should lead into how you will organize the paragraphs within your research paper. The next steps in the list of instructions on how to write a research paper are actually typing the paper and then revising it. After you type your first draft, you will need to edit and revise. This involves looking at all of your research paper, from the introduction and thesis sentence through the conclusion. In this stage, check that your ideas and information support the topic you decided on and your thesis, that they are organized in a logical way, and that they flow together between paragraphs. Throughout the research process you must not forget to write source cards for your research paper. Keep track of the places in which you are finding your information, and record the details on bibliography cards. Then, after you write and know which sources you actually used, write a works cited or bibliography page, according to instructions. Once you have revised and made any necessary changes, you must not forget to proofread. Proofreading is the process of checking writing for errors and correcting any that are found. 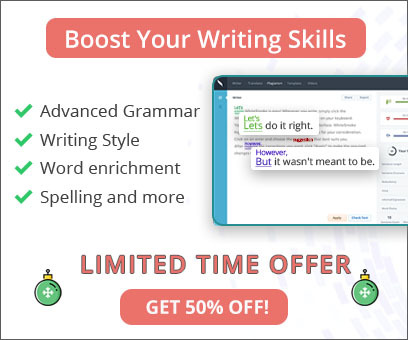 This could be the most important step, because even if you have the most appropriate research and well-organized ideas and arguments, an English grammar or punctuation mistake could lower the level of your work. At best, you might receive a slightly lower grade from your professor because of this type of mistake or because you don't follow spelling rules; at worst, your instructor might not even understand what you mean to say because of a mistake and really downgrade your research paper. To prevent a low grade, you must use the right proofreading tool, like WhiteSmoke writing software. 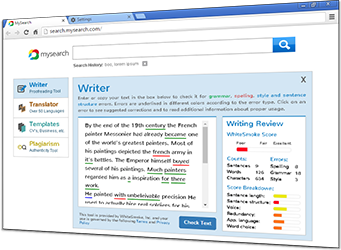 WhiteSmoke is compatible with every application on your computer, so with just one click from wherever you are writing, you can instantly access the best English grammar check, spelling checker, and ever-improving punctuation check. You will also be able to look up definitions and even translate with WhiteSmoke's state-of-the-art online dictionary. Enhance and enrich your writing with adjectives, adverbs, and synonyms from the vast thesaurus WhiteSmoke offers, too. Take advantage of all of these valuable features, and rise to the challenge of how to write a research paper.